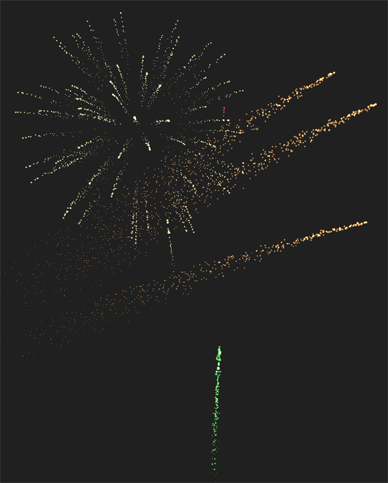 I like fireworks. I'm not any kind of expert but I like ooh-ing and ah-ing at them. So I made this DirectX/Windows screensaver many years ago.